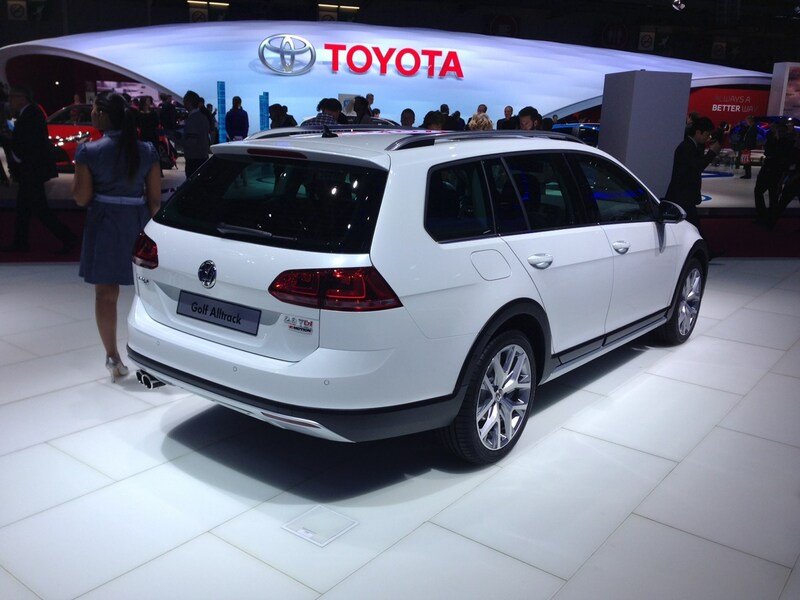 By far the biggest news on the VW stand was the public introduction of a new Passat. The immensely popular and capable Passat is a familiar sight on our roads now, but the new version is the most efficient and tech-laden yet. There will be a range of diesel engines available from launch but no petrol. Gearboxes include both manual and DSG automatics, while there will be a BlueMotion version that returns a claimed 78mpg and emits 95g/km of CO2. That should get company car drivers' attention. As before it's available as an estate or a saloon and for the first time, there will be a plug-in hybrid version of both. It's due in October 2015 and will combine a 1.4-litre petrol engine and electric motor with an incredible average fuel consumption of 141mpg and CO2 emissions of only 45g/km promised. For more information on the new VW Passat, click here. 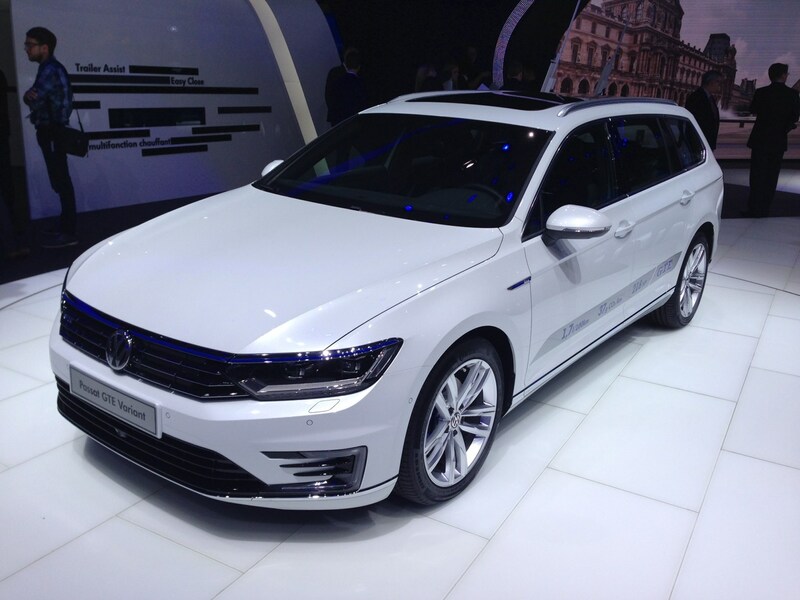 Debuting in the metal at the Paris Motor Show, VW also unveiled the latest addition to the Golf line-up. The Volkswagen Golf Alltrack is a beefed-up Golf estate, with 4x4 versatility and practicality. Featuring underpinnings from the Skoda Octavia Scout, the Alltrack gets a host of styling tweaks. Increased ride height and a muscular body kit also give the Alltrack some rough-and-tumble credentials. It gets plenty of four-wheel drive tech and an impressive 2,000kg braked towing weight to boot. The Alltrack gets the familiar range of Golf diesel engines, available in 1.6-litre and 2-litre guises, with the addition of a new 1.8-litre petrol. Given the latter engine's comparatively poor fuel economy and emissions is unlikely to be as popular as the diesel counterparts. Interior trimmings are very similar to the estate and hatchback models in the Golf stable, with the usual touchscreen infotainment and climate control goodies. The Alltrack goes on sale next summer. Read more in our VW Golf Alltrack preview. 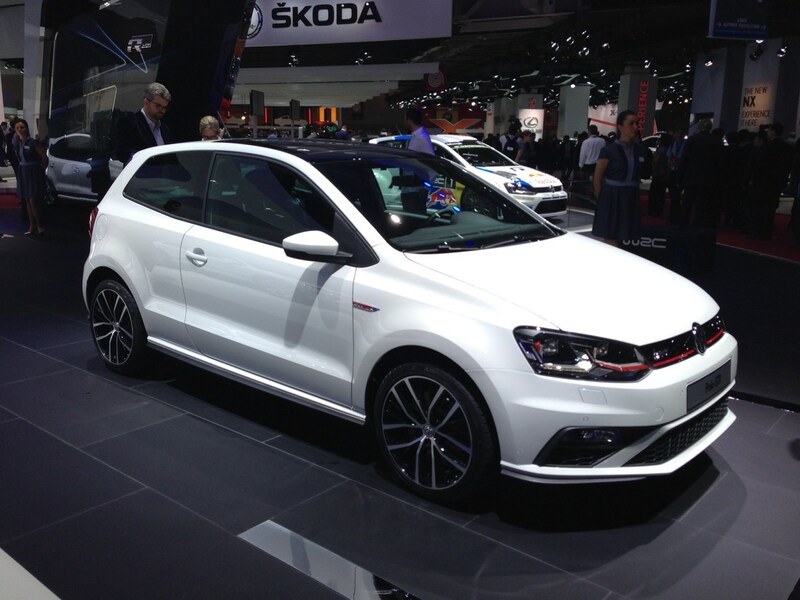 Volkswagen's recently updated Polo needed a model to perch on top of its range, and the GTI is the car for the job. Powered by the same 2-litre turbocharged petrol engine found in the Audi S1 and using a four-wheel drive system for extra bite into the tarmac, we like the recipe for this car very much indeed. 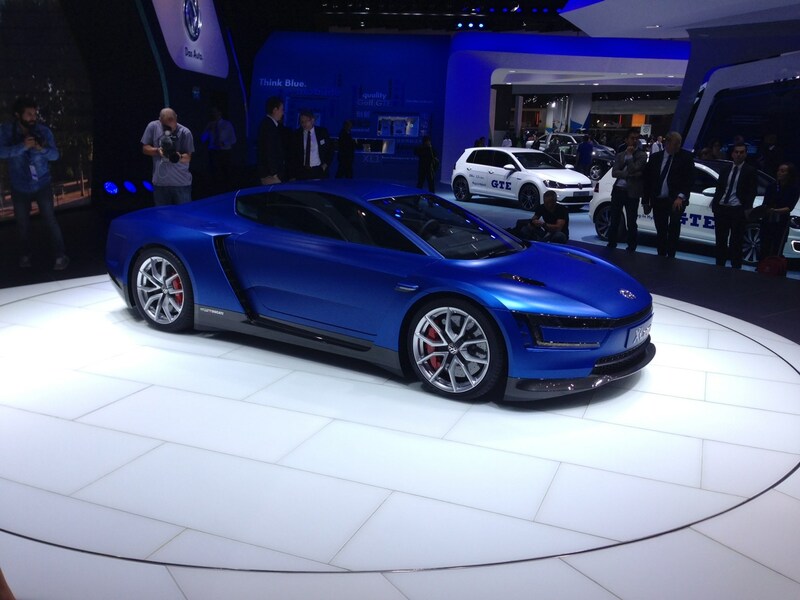 The 197bhp XL Sports concept uses a Ducatti V2 motorbike engine coupled to a seven-speed DSG automatic gearbox. Its lightweight platform means a 0-62mph sprint in 5.7 seconds, while clever aerodynamics promise sporty performance through corners too.